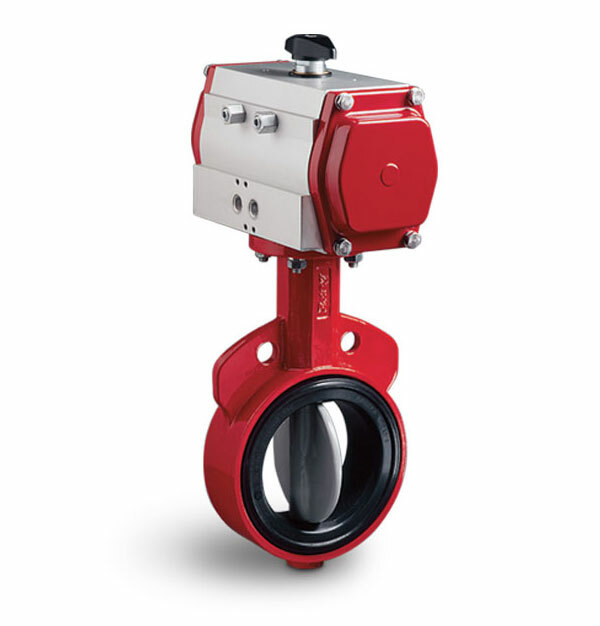 Butterfly Valves are designed to control a material or airflow in pneumatic or gravity flow convey lines. The casting is spherically machined to provide a bubble-tight shut off with minimum torque thus increasing seat life. Cast ductile iron or stainless steel bodies are manufactured for most applications. They are available in both wafer and lug style designs. 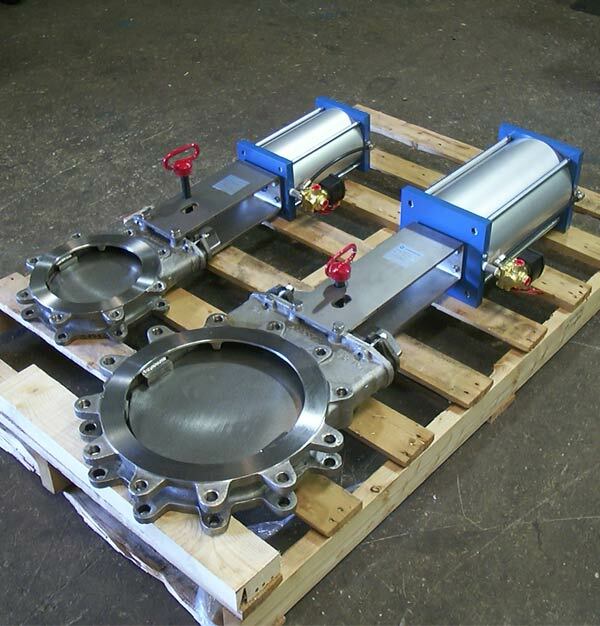 Standard design allows most butterfly valves to sandwich mount between two ANSI 150 lb. flange patterns of their respective size. Stems are heavy-duty, two-piece design for easy maintenance. Pins retain stem in body at all times allowing removal of handle or actuator while under full line pressure. Elastomer—reinforced with phenolic backing ring—enables valve to be used on pressure or vacuum service. Seat can be field replaced. This special double seal design eliminates the need for flange gaskets. The primary stem seal is backed up by three stem-seal O-rings molded into seat liner. Disc is streamlined for maximum flow and minimum seat wear. The elimination of bolts, pins, etc., as stem connectors results in ease of assembly and less maintenance. Two bronze or Teflon® bushings are standard on 2” to 12”. Sizes above 12” have full length bushing on upper and lower stems. Rectangular drive ensures proper stem-to-disc assembly; no pins or bolts are exposed to flow. A unique patented lip—integral to the body—prevents the liner from moving down stream, eliminating seat and flange leakage. This allows the lug valve to be used in dead-end service applications at full rated pressure without the use of downstream flange. 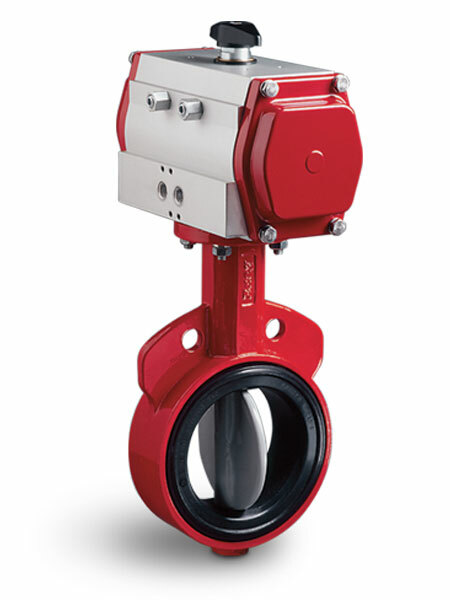 High-temperature and severe-duty valves also are available upon request.